When we think of trauma, we think of devastating psychological or emotional response which occurs as the result of an event which is distressing and disturbing. Traumatic events include the death of a loved one, perhaps a car accident or divorce. Events such as these, when they occur, are usually terrifying and leave us feeling shocked and disrupted in life. Many people who experience this type of even speak of feelings like depression, lack of joy and an inability to perform their day-to-day functions without feeling tired, drained of energy, without enthusiasm and aimless. It is normal that when a traumatic event occurs, that we feel that we are not able to cope and long to creep into our beds, over-eat or disengage from friends and family as a defense mechanism to avoid having to deal with the emotions we are feeling. While these feelings are normal emotions after a traumatic event, what is not normal is for these feelings and avoidance to endlessly persist. What we often don’t consider is that with the fast pace of life that most of us experience the result of trauma can become something that we experience on a daily basis. When life bombards us with its never ending lists of things to do, be and have, the expectations of life itself cause stress, anxiety and depression, further leading to emotional and health concerns. If ignored, these concerns will simply worsen until eventually the body can no longer cope. Yet humans continue to face the barrage of life’s requirements without taking the time they need to recover from the accumulation of these stresses. This too is when we experience trauma. The slow and progressive nature of stress, like the proverbial Chinese dripping tap, becomes the torture we feel in our soul. Mal Weerarante wishes to re-define “trauma” to include the small, slow and steadily draining events which become bigger than our emotional psyche. Those which develop and grow, all the while, lowering our ability to maintain joy, infiltrating our thoughts, feelings and emotions and manifesting in negativity. Many of Mal Weerarante’s clients report an extreme lack of desire for life. This is the unseen trauma which is not initiated by one specific event but rather the accumulation of all of the event of our day-to-day existence. These are the traumas which we do not face, which we do not seek help for, which we keep stored in our bodies, these are the catalysts for major disease. Mal Weerarante’s goal is to help to unblock and reserve the symptoms of this trauma. Tantric Journey is a practice which sees each person’s unique situation and helps to redress the results of these negative feelings through empathy, compassion and honesty. This is done with the intention that each person will find their way back to themselves. By removing the dark cloud of trauma, clients are enabled to see life in a new and fresh way, allowing them to see the sunshine masked by the clouds, empowering them to return to the state of joy which is ultimately our birth-right. Contact Mal Weerarante today and find out how he can help you! 2018 has been a year of dichotomy. It seems that 50% of people have found 2018 to have been a fantastic year, which has bought them good fortune, success and abundance. While the other 50% seem to not be able to wait to put the year behind them and are glad to see the back of it … hoping and trusting that 2019 proves to be a big improvement for them. The end of the year is the time when we generally look back at the last 12 months, assess our journey and based on this we make our goals for the year ahead. What better time of the year to take time to find closure from the emotional wounds which you may have incurred during the year and all clear your personal, emotional and spiritual slate in preparation for 2019. If you are one of those people who experienced a negative, sad or unsuccessful 2018, the body and help you with shedding the negativity of the year so that you may literally start over. If you are ready to release negative emotions and are someone who understands that thoughts, feelings and emotions can end up being stored in the body and can influence your health and well-being in the future, then you will know that periodically releasing negative emotions is the ideal way to stay healthy. Mal Weeraratne is quite simply an expert in the field of releasing negativity from the body, having made it his life’s work to study with some of the greatest spiritual and intuitive geniuses who came before him. Utilising the ancient art –form of Tantric and Taoist bodywork, combined with the knowledge and emotional intelligence which he has gathered as the result of his experience of more than 24 years in the field of studying Human Sexuality, Mal Weeraratne has assisted thousands of people and couples heal and grow into to health and love again. Interwining the traditions of India and those of the Chinese, Tantric and Taoist (Daoist) philosophies both work with the energy centers of the body, traditionally known as the Chakras, to initiate the release of life energy which in both traditions is believed to flow through all living things and when they are in alignment, can increase the body’s natural healing ability. Both philosophies recognise sexual energy as ultimately the same energy as life energy which is why sexuality plays a role in the process. Increased sexuality is also just one of the many benefits most of those who have taken the Tantric Journey, have come to experience. Mal Weeraratne integrates the Eastern wisdom and combines it with the Western knowledge of allopathic medicines and developed Tantric Journey, a revolutionary healing technique. As the end of the year approaches and January peeks its head around the corner of tomorrow, make it a priority to use these days to release and unlock any negative thought-patterns which may have been instrumental in creating a 2018 in which you were not functioning at your best and replace those negative thoughts and emotions, with the help of Tantric Journey, in order to ensure that the new year is as glorious as you could hope it to be. Mal Weeraratne is the founder of Tantric Journey and having served as a Tantric Practitioner for over twenty years he now devotes much of his time to teaching others his unique synergy of healing techniques known as Tantric Journey. Having studied the field of sexual dysfunction and emotional detox for over twenty years, Mal Weeraratne is a leading name in the understanding of and release of negative, stagnant emotions from the body, he has written a popular and well respected book on the subject and given many talks and lectures around the world on the fascinating subject of Emotional Detox through Body Therapy. Mal is a gifted and natural teacher, is committed to passing on the gift of his knowledge and experience to others. As a result, the Tantric Retreats and Tantra Workshops that Mal Weeratne facilitates are always deeply popular and hugely successful. Mal Weeraratne has trained hundreds of students at both his Central London Tantra studio as well as at other highly considered locations including the acclaimed Tao Gardens in Thailand. Mal Weeratne’s courses and workshops have seen him travel globally and have also attracted students from diverse walks of life and from around the world. Having treated thousands of men and women, Mal Weeraratne with his powerful, effective and unique emotional release techniques that are a blend of Tantra, Tao and body therapy modalities, it is certain that Mal Weeraratne can be considered a unique source of knowledge and expertise in the field of emotional release and Tantra. Mal Weeraratne was the first certified Tantra therapist to graduate from Source School of Tantra in the USA, Mal Weeraratne has continued to practice, write, treat, educate and heal with Tantric Journey. Details of his work and his Tantric courses and workshops can be found on his Tantric Journey website. When describing Mal Weeraratne, where do you start? Well, Mal Weeraratne is Founder of Tantric Journey – School of Healing and Awakening; Author of Emotional Detox through bodywork; he is an inspirational Speaker and a gifted teacher of Tantra and his unique therapy and method for emotional detoxification known as Tantric Journey. Mal Weeraratne is a great asset to the understanding of emotional detox and is the British Pioneer in the area of Emotional Detox through Tantra – Bodywork. Now a great teacher Mal Weeraratne has himself studied in various accredited institutes under pioneers and experts earning him the accolade of being the first Certified Tantra Educator in the UK, from Source School of Tantra. The tantra retreats and workshops that Mal Weeraratne runs today are frequently oversubscribed as they present a level of training second to none. Mal Weeraratne has worked in the field of Emotional Detox and Tantra since 1994, and has treated well over 3000 clients from all walks of life spanning across U.S, Europe, U.K and U.S.A. there are thousands of positive testimonials from around the globe. Mal Weeraratne is an expert in teaching women how to take control of their sexual energy within their bodies in order to remove trauma stored in the form of trapped emotions. Mal Weeraratne hares techniques using ancient knowledge and practices that are combined with new ground breaking insights to create an engineered trauma release technique called Tantric Journey – Bodywork for Emotional Detox. The Tantric Journey Bodywork performed by Mal Weeraratne to heal past trauma such as sexual, physical and psychological abuse that is stored in the body’s cellular memory is highly effective and transformative. Indeed the work that Mal Weeraratne performs changes the body’s balance from negative to positive to attract positive emotions, positive thoughts, positive decisions and positive experiences to feel joy and happiness. Mal Weeraratne’s groundbreaking treatments have transformed many lives and allowed many people to experience positivity and bliss. 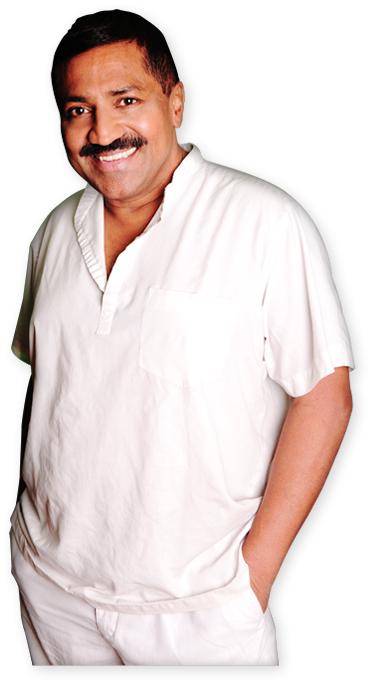 Mal Weeraratne is the founder of Tantric Journey and a master in the field of human emotional detox. Having studied the field of sexual dysfunction and emotional detox for over twenty years, Mal Weeraratne is a leading name in the understanding of and release of negative, stagnant emotions from the body. Not only is Mal Weeraratne a knowledgeable and experienced emotional release practitioner, but Mal Weeraratne is also a dedicated trainer and teacher with Mal being committed to passing on the gift of his knowledge and experience to others. Mal Weeraratne has trained hundreds of students at both his London Tantra studio as well as at other highly considered locations including the acclaimed Tao Gardens in Thailand. Mal never tires of researching and teaching emotional release through body therapy and it would be accurate to describe Tantric Journey and emotional release through body therapy as Mal Weeraratne’s life’s work. Indeed Mal Weeraratne has treated thousands of men and women from around the globe with his powerful, effective and unique emotional release techniques that are a blend of Tantra, Tao and body therapy modalities. For well over two decades Mal Weeraratne has been practising Tantric Journey and with thousands of client and student testimonials praising his work it is not surprising that his central London practice is extremely busy. Author of ‘Emotional Detox through Bodywork’, Mal Weeraratne could be accurately described as a Tantra Master, having been the first certified tantra therapist to graduate from Source School of Tantra in the USA, Mal Weeraratne has continued to practice, write, treat, educate and heal with Tantric Journey. Mal Weeraratne seamlessly never ending energy and enthusiasm for his Tantric Journey work is both admirable and commendable. He has dedicated his life to the work of emotional detox and now with hundreds of therapists trained and qualified a certified Tantric Journey practitioners it seems certain that his work will continue to thrive and expand. Mal Weeraratne explains that his plans for next year involve certified courses and another book as his therapy session diary bulges with appointment one wonders where Mal Weeraratne will find the time to launch another successful book title and teach even more courses. Mal Weeraratne is a highly experienced Tantra Master and the author of ‘Emotional Detox – through bodywork’ a unique self-help guide to releasing stagnant, negative emotions using Tantric and Tao techniques. Mal Weeraratne runs a highly successful and busy Tantric temple where he has treated thousands of clients. In addition to his treatment of thousands of women with his pioneering emotional release techniques through deep, tantric bodywork, Mal Weeraratne also teaches his pioneering techniques and indeed Mal Weeraratne believes that a valuable part of his lifes work is to impart his vast knowledge of Tantra through talks, workshops and training. Mal Weeraratne offers a range of tantra courses, workshops and treatments at his London based Tantra Temple, but now he offers unique opportunities to go to the beautiful Tao Gardens, Thailand and embark on a Tantric Journey retreat. Mal Weeraratne offers these highly unique tantric retreats a few times a year and they are understandably popular. This unique retreat course is taught by Mal Weeraratne himself with aid of assistants that have qualified through Tantric Journey’s Practitioner training academy. To read more about the pioneering emotional release techniques that Mal has developed then simply visit his website where you can also book one-to-one tantra treatment sessions with Mal Weeraratne; enrol on a talk given by Mal Weeraratne or enlist for a tantra course co-ordinated and taught by Mal Weeraratne. It is certain that in the field of emotional release through bodywork Mal has an extraordinary wealth of knowledge and practical expertise. Indeed Mal Weeraratne frequently treats clients that travel to see him from all over the United Kingdom as well as overseas. Testimony to Mal Weeraratne’s success in his chosen field can be seen in the many testimonials that his clients have given him and his passion for his work is most commendable.